The Spidex® curved jaw coupling brand and trademark are used exclusively by Lovejoy's wholly owned German sister company R+L Hydraulics. Meanwhile, in the North American market, Lovejoy markets the interchangeable product simply as CJ (Curved Jaw) couplings. If you are looking to buy the product in the North American market (or a partner of the North American Lovejoy), you can learn more about the curved jaw coupling product by visiting the Lovejoy CJ product page and/or by downloading the Lovejoy CJ product catalog. Furthermore, you can look up detailed part numbers and part number information on Lovejoy's Digital Parts Catalog (beta). 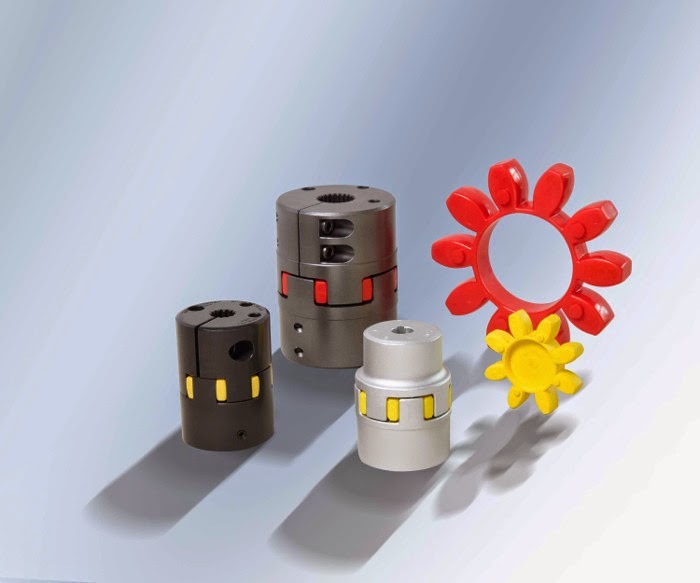 If you are looking to source the product in Europe (or a partner of R+L Hydraulics), you would be best served to learn more about the product from the R+L Hydraulics SPIDEX product page and/or R+L Hydraulics SPIDEX catalog. Thank you Roopesh N. for submitting this question! As a coupling manufacturer and supplier, we are terribly grateful for all of our end users, distributors, and suppliers who are kind enough to raise questions and allow us to continue to improve our service levels. To learn more about the curved jaw coupling, please consider reading the following CouplingAnswers.com blog post: The Curved Jaw Coupling – Versatility of Design. Further to Elliot's helpful advice our coupling element sizing chart helps identify correct size and serial number of couplings when replacing elements that have come to the end of their service life. Clearance vs Interference Fit Couplings - Which Hub Fit is Better? Why Power Transmission Shafts Have Both Keys & Keyways? What do Lovejoy jaw coupling numerical sizes stand for? How to Get a Pump Housing Fast!